I would love to see Harry Potter versions of all the characters! Polar Bear should be Harry…. sorry that allignment was wierd. I actually got this about 5 hours after I read it while lying in bed. It made me lol! I love Draco (actually, I love Tom Felton) and Neville and Ginny and Molly and Hermione and Ron…actually, all the Weasley’s excpept Percy, he’s awful. Pauline: No nose, can sneer, is really, REALLY mean. 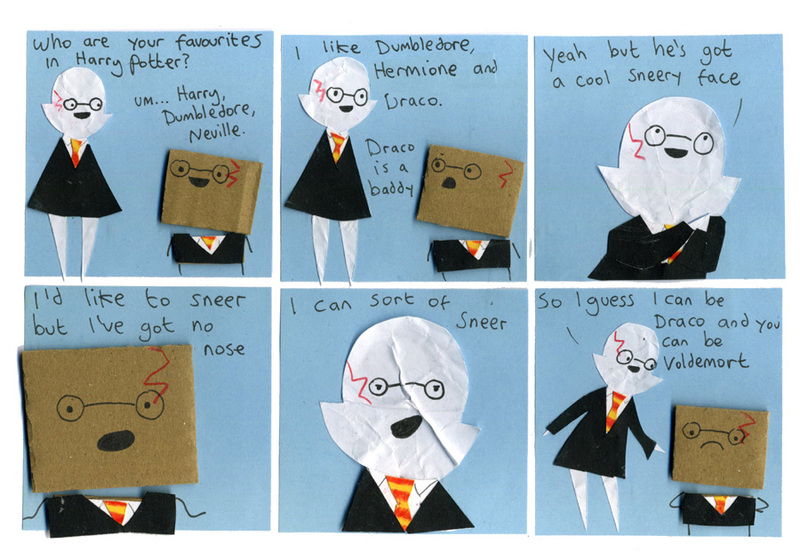 Voldemort: No nose, can sneer, and is really, REALLY, REALLY mean. HAHAHA!!! Colin will make a really cool Voldemort.